Steve Tillman is a native of Louisville, Kentucky. He graduated from the University of Louisville Louis D. Brandeis School of Law in 1975. 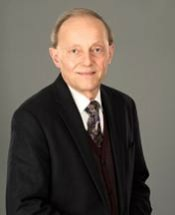 He began his legal career as a law clerk in 1973 with the law firm of Segal, Isenberg, Sales & Stewart and eventually became a senior partner. In 2000 he became a founding senior partner of the law firm Sales, Tillman, Wallbaum, Catlett & Satterley, PLLC. Steve practiced law with this firm until 2012. Currently, Steve is the senior law partner with the law firm of Tillman, Cade & Schoen, PLLC. He is currently admitted to practice in all Kentucky state courts. His primary focuses are Estate Planning Law, Domestic and Family Law, Real Estate Law, Bankruptcy Law, Tax Law, Probate, and General Civil Litigation. Steve currently resides in Mount Washington, KY with his wife, Linda, to whom he has been happily married for over thirty-five years. They have three adult children, Chris, Sean, and Amanda.